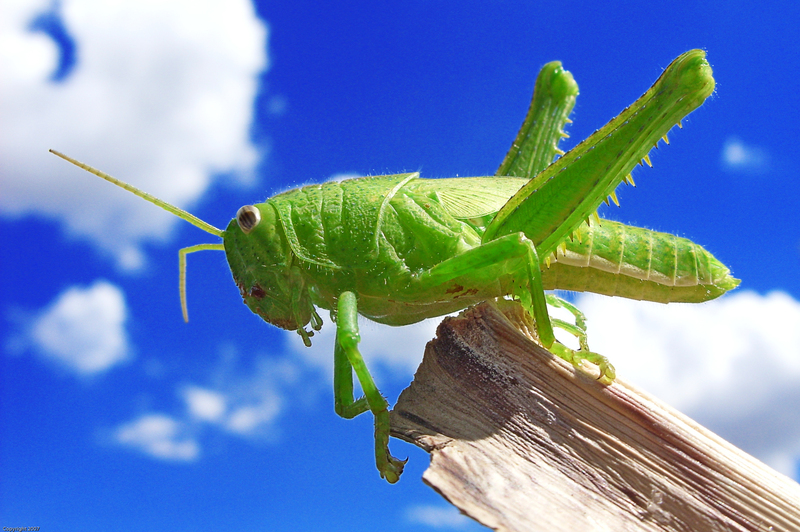 Grasshoppers are noisy, hoppy bugs, which, though reasonably cute for an insect, are tiny. But a person who sees herself as being as small and insignificant as a grasshopper is not being humble. Authentic humility requires seeing your self as a human being (not a bug), a real-life, imperfect person with all your attendant human failings and flaws. A human being who is humbly and totally dependent on God for each breath you take. In order to have healthy self-esteem you also need to understand that you are a human being with a soul, who was created in the image of God. God has given you an essential life mission, a mission no one else but you is capable of completing. And, at the same time, healthy self-esteem needs the recogniztion that Hashem is the one who makes the mission possible.